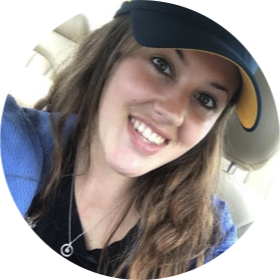 Read Kelsi's review of Museo. Well into their 30s, Juan Nuñez and Benjamín Wilson still can’t seem to finish veterinary school or leave their parents’ homes. Instead, they wallow in comfortable limbo in the district of Satelite, Mexico City’s version of an American suburb. On a fateful Christmas Eve, however, they decide it’s finally time to distinguish themselves by executing the most infamous cultural artifacts heist in all of Mexican history. 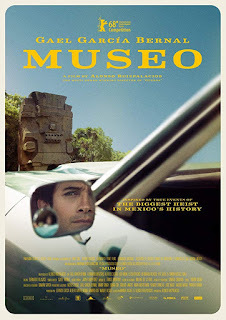 Museo is in select theaters on September 21st, 2018. 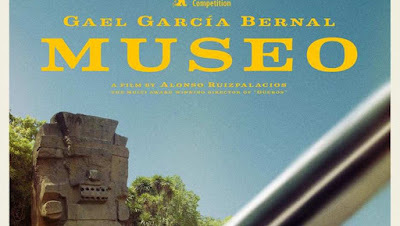 Museo sort of reminded me of the Spanish version of a previous movie I had reviewed called, American Animals. This is only because both films focus on a similar plot, several guys trying to steal significant artifacts as a way to bring more meaning to their lives. However, Museo seems to have put an interesting twist on that idea. In American Animals, the story that was told was true. It was a story being told specifically from facts and those who did the wrong doing. On the other hand, Museo wants you to question what you’ve seen and heard. The story here is told in a narrative form, but by someone else. It was interesting to have been left wondering just what exactly was or was not true about the story you were told. Juan (Gael Garcia Bernal) struggles with what seems to be his identity or purpose in life. He is older and still living at home with his parents, while spending most of his time playing videos games with his nieces and nephews. Wilson (Leonardo Ortizgris) spends most of his time at home taking care of his elderly father. Juan and Wilson had been friends since they were kids and knew just about everything going on in each other’s lives. This made it easier to trust one another and plan their mischievous heist. Sure enough they walked out of the National Museum of Anthropology, in Mexico City, undetected one night with over 140 historical Hispanic artifacts. This film wants to make it clear though, that you should not believe everything you hear. Only the one who actually went through with the said actions is the one who truly knows why they did them. While this film was interesting, it was also very prolonged with a time of 2 hours and 8 minutes. I think there are definitely a lot of unnecessary scenes that could be cut out in order to shorten the length of the film.